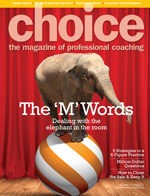 Overview - Coaching and Leadership International Inc. Thank you for visiting the Coaching and Leadership International Inc., ("CLI"), website (www.coachingandleadership.com)! CLI wants you to be well informed with respect to the Terms and Conditions of Use of this website. By using this website, including any third party software made available in conjunction with this website, you agree to be bound by the Terms and Conditions of Use as posted in this section of the website. They can be accessed via the link on the sidebar of this section.